Finally, we get a look at (some of) the nominees of The Future Awards Africa 2016! 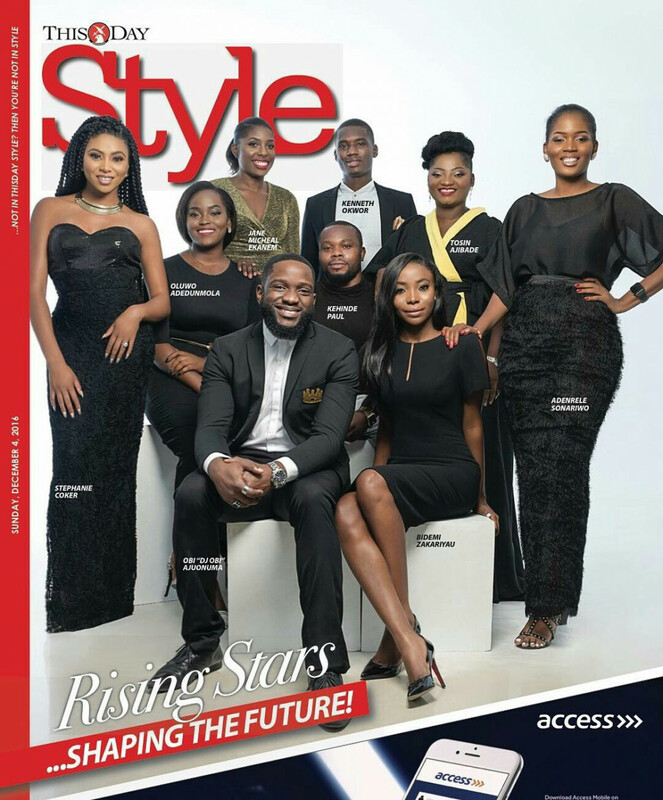 Africa’s biggest youth event has been teasing us with announcements for a few days now; the height of this being only 9 of the nominees on the cover of one of the country’s biggest weekend magazine. The final list of over a 100 nominees, across 21 categories will be released later this afternoon on Ebony Life TV, Channels TV and ON TV at 3PM. If one were to call Dr. Olumo, a wonder-woman, you wouldn’t be too far off. She is a recent graduate of the Medical School at the University of Debrecen in Hungary. It goes without saying that an education in Medicine is a difficult path to follow. Yet, Dr. Olumo did this, excellently while also managing four successful businesses across varied industries. She achieved financial independence from her retired single mum. She became an entrepreneur. She finished her medical studies. All in one fell swoop. She runs Dedun’s Cakes, a four-year-old cake and pastry company; Hair by Dedun, a six-year-old hair styling business that caters to every hair texture; DedunCooks, a six-year-old Nigerian food catering business, and Belle Artistry by Dedun, a new beauty-focused business she started earlier in 2016. She is just 24 years old. “I was able to combine all these without repeating a year in the 7 years of medical school. I was able to make enough to pay for my Masters. I’m sharing my story to inspire others that it doesn’t matter what your situation is, you can always challenge yourself to achieve great things whether you are a 17 year old (like when I started) or older,” She says in an interview. If ever there was a law prodigy in Nigeria, it would be Kenneth Okwor. He is only 24 but already a Templars Law Firm Associate AND an Adjunct Lecturer of Corporate Law and Practice at the Nigerian Law School, Lagos Campus. He graduated with First Class Honours from the Nigerian Law School and a Second Class Upper Honours from the University of Jos, where he made distinctions in Commercial Law, International Law and the Law of Evidence. He graduated top of his class at the Nigerian Law School, winning several awards and prizes including the Council of Legal Education Star Prize, the Best Overall Performance, all categories of Best student of the year, Best student in Corporate Law Practice and Property Law Practice prizes, among others. She is the founder of LSF PR, a full service public relations consultancy with core competencies in Corporate Communications, Consumer and Lifestyle Brands. She also created a small business division, LSF|SME which is focused on growing small businesses, brands and emerging talents. All this she did before she turned 27. She manages global brands and accounts in consumer, technology and construction markets, that have been existing for almost a century. In an industry saturated with upstarts and noise, Zakariyau has carved a pedestal for herself, delivering time and again. Notably, she has been called to speak at conferences, gatherings inspiring young women the same age as herself or even older. She has also proven to be an advocate for the woman in the workplace and is known to hire almost exclusively women believing she needs to do her part in levelling the playing field. Internationally known on the turntable. That should probably be DJ Obi’s moniker. Performed in international tours from Europe to the Middle East. Obi broke the Guinness World Record for the longest DJ Set in History. Landed an endorsement deal with Tag Heuer alongside Real Madrid Raphael Varane, actress Yulia Snigi and Bruno Senna, Formula E race car driver. You might be tempted to ask, and alL he does is DJ? DJ Obi has been able to elevate his work to an art form. Undoubtedly, he is one of the best DJ’s in the world, period. If you asked the average Nigerian, they would tell you they didn’t know the Police’s motto is “to serve & protect”. Only because the perception is that they do anything but this. Within reason. Enter Aliyu Giwa. He has proven to be an exemplary policeman who upholds this motto to the letter. Giwa has opened lines of communication between the police and the people it serves, responding urgently to emergencies, complaints, troubles citizens may face. He has also smartly employed social media in carrying this out, providing service and care in real time. Policemen do indeed serve and protect us, after all. Giwa was recently awarded Young Person of the Year by OYA Awards. 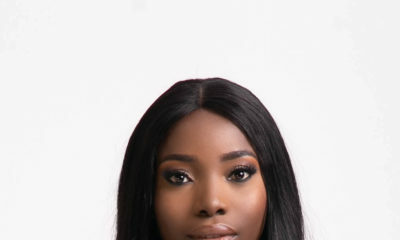 Ajibade runs one of the most visible businesses of Africa’s emerging digital economy, OloriSuperGal.com Hers is an internet enterprise and she is one of the brightest examples of a future and an economy that is online. Her platform has both a Nigerian and South African edition. 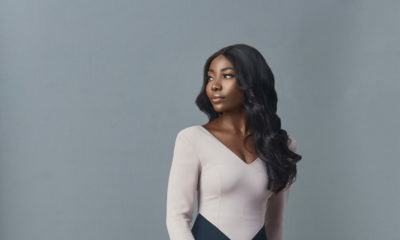 In 2014, Ajibade was listed among YNaija’s 100 Most Influential Women in Nigeria and her blog is considered today as one of the most reputable and popular in Nigeria. She is the organizer of the New Media Conference that has held two years in a row. The conference focuses on new media capabilities, especially in online/digital possibilities. Ajibade has used her blog to call attention to societal issues especially as it affects women and girls. A clear instance is the sexual assault story of a Queen’s College, Lagosstudent by her teacher which she published and the news consequently went viral and caught the attention of the relevant authorities. Its tempting to describe the achievements of this man as having excelled where able-bodied men failed. But that would be saying only part of the story. Paul is a 28-year-old power-lifter won Gold in the Men’s -65 kg category at the recently concluded Rio Paralympics. He was one of those who restored pride in our sportsmen where athletes at the Olympics hadn’t performed up to expectations. Arguably due to no fault of their own. Paul also competed in the men’s 72 kg event at the 2014 Commonwealth Games where he also won a gold medal. His is a record of excellence against all odds. How does one go from being a stylist to launching a cloth manufacturing factory? Jane Micheal Ekanem knows how. She’s been the only one to do it. Jane officially began her career as a celebrity stylist in 2009 when she got contracted to style the contestants and hosts of MTN Project Fame. Since then, there hasn’t been much to look back to except more accomplishments and more celebrities added to her resume. She is a woman with a sharp eye for detail and a deft touch for producing looks that hold attention on the red carpet and in memory long after lights have stopped flashing. Jane has dressed the likes of Yemi Alade, Tiwa Savage, Seyi Shay, Mo’Cheddah, Tolu Oniru, Waje, and many other high profile celebrities. She has also worked with Nigeria’s biggest celebrity photographers from Kelechi Amadi Obi, Reze Bonna, Hakeem Salam and Moussa Moussa to Obi Somto, Emmanuel Oyeleke, August Udoh and more, to create both high fashion and commercial looks. She was also recently featured on CNN’s African Voices. She has most recently launched a cloth manufacturing factory, producing looks instead of pulling them. How’s that for a stylist superstar? Before 2016, at no time in history was a visual art exhibition ever held in Nigeria’s seat of power, The Presidency. Adenrele Sonariwo made and broke that record. She is the founder of contemporary art space, Rele Gallery; and through her work, is building a new generation of art enthusiasts, collectors, followers, in fact a new market for visual art. The gallery is also widely credited for gradually changing the perception of arts in Lagos and Nigeria at large as a member’s only club. The space is also known for incubating and discovering young artistic talent. 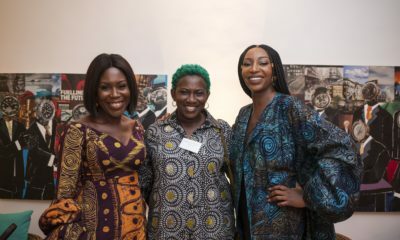 In just over a year and a half of existing, the gallery and Sonariwo’s work has been profiled by global publications such as Financial Times, Forbes Africa and Vogue. She is an on-air personality who has appeared on the biggest continental TV platforms and shows that have captured imagination. To her credit, she has hosted global music talent show, The Voice 2016; MTV’s ‘Street Request‘, and the red carpet of American awards show, The BET Awards 2015. Hers has been a career that has been on an unstoppable upwards trajectory. In the year 2010, she won the MTV Freederm Presenter Competition, which saw her face shown all over the City of London in a TV Advert. That same year (2010), she was commissioned by OHTV, (UK) for her documentary work on young Nigerians called “Christmas in Lagos”. When there’s an entertaining time to be had on TV, its likely this young woman that’s directing proceedings. She has an innate quality to bring out the best in her interview subjects. This year, she won the Sisterhood Awards for On Air Personality at the Women in Management and Business (WIMBIZ) Conference. We can’t wait to see everyone who made the list! The 11th edition of The Future Awards Africa will hold on Sunday, December 18th 2016 in Lagos, Nigeria. Tell us how you are shaping the future and share your contribution as a key player in Nigeria’s future and Africa’s destiny. The Future Awards Africa 2016 is powered by RED. For more information, visit awards.thefutureafrica.com. Follow @TFAAfrica to keep up with the latest news on TFAA. My Girl Dr. Dedun is a star!!!! Oshey Baddest!!!!!! @fifi yes exactly…….Its still the same face of people. Lagos Island crowd faces and its funny how there are a lot of young Nigerians doing wonderful things low key and are not recognised. I have given up on Nigerian award system really because it is still about who you know, whose clique you belong to and how much you have. So why didnt you nominate them? Well you could always nominate any of these unsung heroes for the future awards. These awards have celebrated some not so popular people within and outside Nigeria in the past. So help shine the spotlight on any such people you know. The same Lagos crowd over and over again. Everytime this Future award list comes out it’s really exhausting to see the same people I saw at every event through the entire year on every blog doing the same basic stuff over and over again. There are people in Oyo, Abuja, Jigawa, Anambra, Benue, Kwara, Adamawa etc doing great stuff in their difficult environments. Nigeria is not Lagos. I repeat Nigeria is not Lagos. I’m always so excited to see Forbes’30 under 30 every year because I learn new ideas and discover new industries as well as see new people who I didn’t tire of through the entire year. And yes, I follow American media equally. WSJ, NYT and Inc subscriber. So. It’s just not novel. I must say. Kenneth Owor!!! Wow that’s the 24 year old lawyer and lecturer at NIGERIAN law school. O M G, what have I been doing with my life?! But MurderSheWrote, this is so stupid. I know at least 16 of the nominees who are outside Lagos. Why do you people say these foolish things without any proof whatsoever? Future awards send researchers out on the field and look for innovative Nigerians and not famous, popular, blog hyped individuals. If the somone isn’t popular you don’t recognise them and it’s sad. I have nothing against the batch you have selected but why don’t you cast your net wide, you’ll find an array of Nigerians doing great things who you know nothing about. I’m starting to think all these platforms make their selection based on how hard an individuals PR person has worked and that shouldn’t be the case. My dear Eric, on that cover I see Kenneth, Oluwo, Kehinde. Can you tell me how they are blog hyped?? Iyeh Kennedy is my school mate at godfrey okoye university and he’s known already for being great in public speaking even before i entered the school as a fresh student.